The speaker sounds wonderful and it’s adorable! Bought this for hubby and he loves it. He likes listening to baseball and books while showering. Never misses a moment of the action. 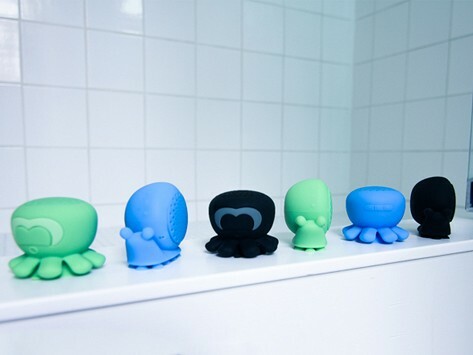 Perfect for adults and kids (especially those little ones reluctant to bathe), Speaker Creatures come in colors of blue, green, and black. Turn them up, skip a song, or replay your favorites. They make showering fun.